Changes to the neighborhoods where we live, work and play must come through us. We, the people of Boyle Heights, Lincoln Heights, El Sereno, City Terrace, and East Los Angeles, are working together to demand new development policies that meet our community’s needs – instead of pushing us to the side. Let's make sure that any new development in our community benefits our families and neighbors first and preserves our culture. With your support we will continue to fight corporate development that displaces our neighbors and families. We believe that development must add to, not take away from, the thriving communities and families that have called the Eastside home. We will keep you updated on mobilization efforts and our latest news. Corporate development is changing our Eastside communities. It’s bringing new, higher income tenants into our neighborhoods, who drive up rents and home prices and displace existing community members – often people of color. Throughout Los Angeles, skyrocketing rents have forced longtime residents to leave their homes and close their businesses. Our community’s culture is being erased as our friends and neighbors are displaced. This is what gentrification looks like. We must act now before it’s too late. 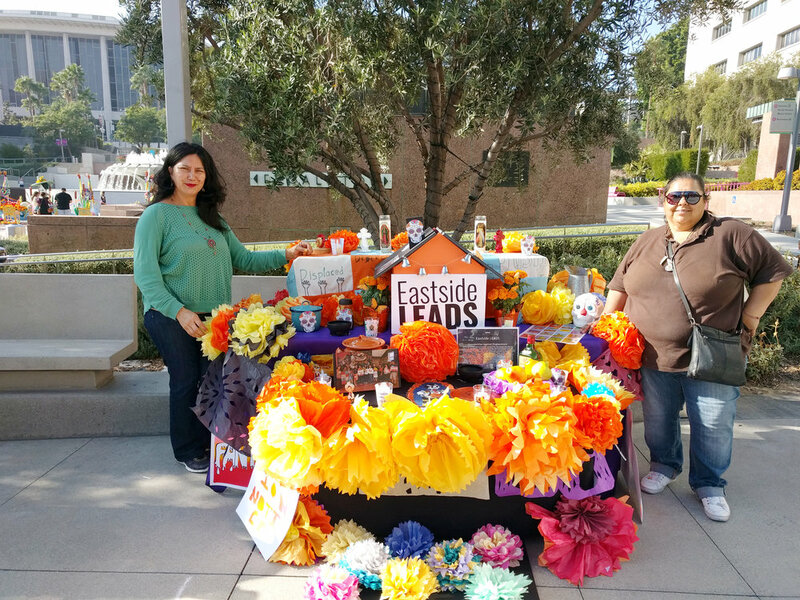 From murals and mariachis to the Chicano Moratorium and student walkouts, the Eastside has a rich history central to LA’s heritage – a culture of resilience and resistance that endures every day. We will not allow our diversity and character to disappear in the name of development. Change must be driven by the community. There are plans to turn our community into a biotech hub. Politicians and corporations have begun calling the area along Valley Boulevard between Cal State LA and the USC Health Science campus the “Biotech Corridor” – claiming their own vision for our community without consulting with the very people who live here. It's not about the pros and cons of biotech. This is about development that fails to consider community priorities and include authentic, local voices in the planning process, which leads to residents being pushed out and priced out of their own homes. Change can be positive, but it must be driven by the community. Click to Learn about our latest community wins to hold developers accountable to our community’s needs and priorities. Development without displacement is possible, and we will accept nothing less. We have our own vision for the future of the Eastside that welcomes economic growth while protecting longtime residents who have made our community the place we know and love. Our coalition of renters, homeowners, small businesses, youth, seniors and local community organizations is demanding equitable and accountable development.